Gary McNair’s one-man show, A Gambler’s Guide to Dying [★★★★☆], is a touching examination of how our heroes make us, told through the tale of how he lost his Granddad. McNair mixes humour and pathos seamlessly as he presents himself as he is now, as he was as a boy, and embodies his Granddad. Although there may not be much difference between McNair as himself and as his elder, perhaps it is significant to the play’s message: it’s the relationships, the time spent together, that’s the ‘best bit’. The part that remains after the proverbial curtain drops is not the obsessive gambling, but the relationship between Grandfather and Grandson. 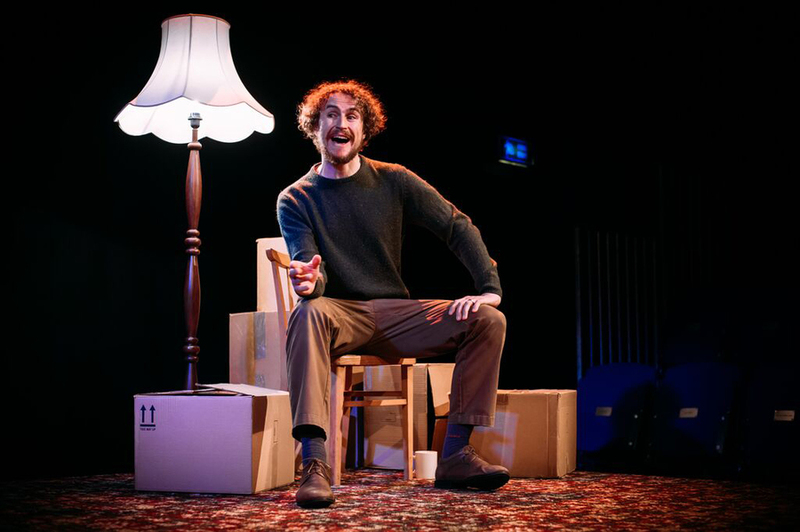 The Traverse Theatre Company's own Crash by Andy Duffy [★★★☆☆] leaves the audience wondering whether they were supposed to feel sympathy for its protagonist and if so, why? A dark tale of the many crashes and lows experienced by not just an unreliable, but sinister narrator, Crash feels manipulative in its attempts to bring the audience around to the unnamed man’s side before pushing them far away again. Actor Jamie Michie gestures well in spite of barely moving from his chair and holds the audience. The sound and lighting work together to create an intense atmosphere, but at at the core is the character, who remains just too unsure to fully connect. Part of the Big in Belgium series, Pardon / In Cuffs [★★★☆☆] is an insightful look into the judiciary system which gains the audience’s sympathy, if not the sympathy of the prosecutor. A cast of three interchangeably create music, control the rotating stage and perform as criminal and prosecutor. The play is bizarre, with everything from magic to seduction to scenes in slow motion to incredible physicality. Humour comes both from the words and the way they perform; switching character mid-scene simply by swapping glasses. Not all segments seem connected and not all actions make sense. 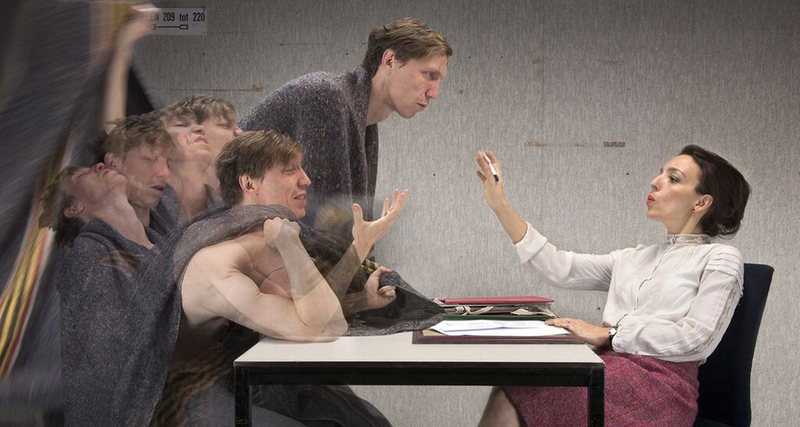 The play asks more questions than it answers, but its statements about justice stick with you. Rough Magic’s How to Keep an Alien [★★★★☆] is the lightest offering. Sonya Kelly tells a hilarious story of the bureaucracy that love must sometimes go through. 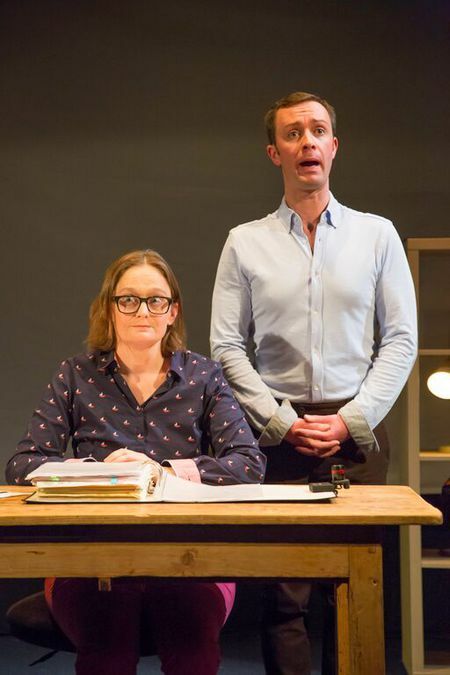 An almost one-woman play, on-stage stage-manner Justin Murphy is a perfect foil for Kelly, sassing his way through the background and pulling attention when required. One particular scene puts him literally into the spotlight as he serenades the audience with hilarious comic expression. The show incorporates multimedia in a way that layers the story, weaving the past through the present alongside “gestures of permanence” that all hold significance – not least the ring-binder so central to the piece. A funny and life-affirming love story, Alien is a real treat. The star in this roster, and certainly a star of the fringe, is Bryony Kimmings’ and Tim Grayburn’s Fake It ’til You Make It [★★★★★]. An unconventional love story – or maybe closer to convention than society cares to admit – it is a play about clinical depression. 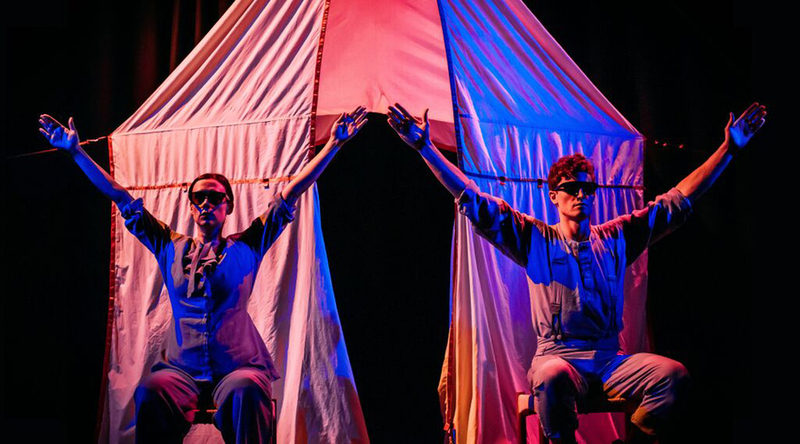 Kimmings crafts a well-thought out and whimsical stage presence which still feels off the cuff, while non-performer Grayburn covers his face in a series of elaborate headgear, each of which reflects another stage of his depression. When he eventually removes the mask, he is visibly nervous and vulnerable, encapsulating the show's honest reflection of reality. Weaving honest, heartbreaking recordings alongside silly songs and whimsical dance routines, Kimmings and Grayburn show depression in the best way they can and sobs can be heard throughout the performance and in the lobby long after it is finished.